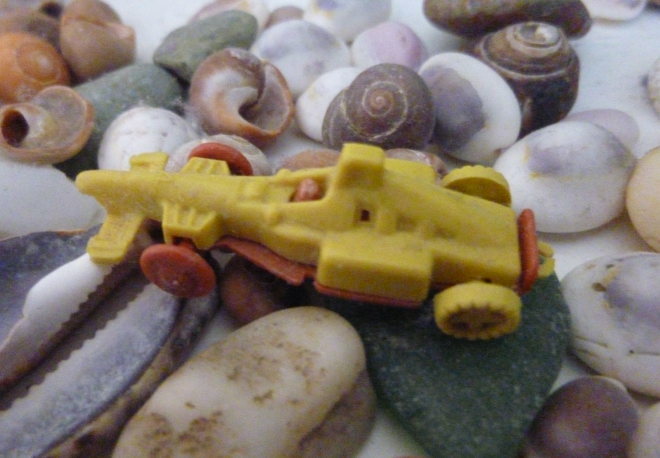 I found this plastic racing car washed up on a Malaysian beach some years ago, and have kept it ever since. Each time my eyes graze it, I wonder who it once belonged to, and how it came to be ownerless. The smallest item, lost or discarded, can resonate with possibilities for a short story writer. Glance down occasionally and look out for a dropped earring, a button, a playing card (quite a lot of those appear close to where I live for some reason!) or a misplaced toy. Then begin your story by wondering how it happened to fall there, to lie alone and abandoned by the side of your path.